Bog Palms and Papyrus area great addition to any type of pond. Papyrus is originally from Madagascar but it spread around the world due to its ability to adapt different conditions and temperatures. In ancient Egypt, Papyrus was processed into a paper-like material where people could write and paint and it is easily one of the most historical plants in the world. 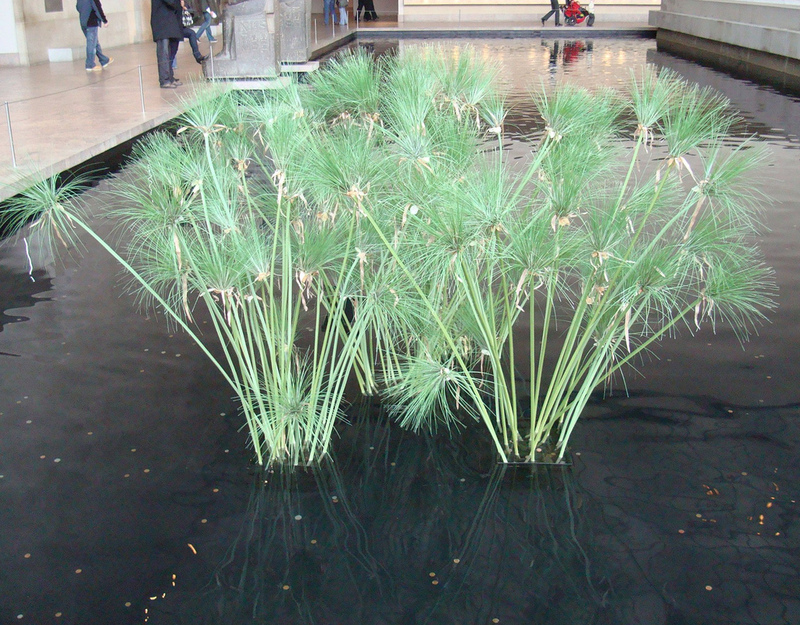 It is also known as the umbrella plant or bulrush and it is popular among pond keepers. In the US, this plant requires a lot of sun and is best suited for USDA zones 8 to 10, this plant is classified as an annual or half-hardy perennial.. And as other bog plants, it likes shallow water of no more than a few inches in height from bottom to the water surface.